Lightbulbs come in a variety of sizes and styles, as well as with an array of different features. Familiarizing yourself with the types of lightbulbs available will help you select the perfect bulb for your needs. A great place to start when looking for lightbulbs is to brush up on some terminology. Here are a few terms you should know. A Kelvin is the measure of a lightbulb’s colour temperature when it is illuminated, ranging from more yellow and "warmer" colours to more blue and "cooler" colours. The lower the Kelvin number, the warmer the light, and vice-versa. A 2,700K bulb will cast a warm and cozy orange glow while a 5,000K bulb will mimic the look of daylight. Lumens are used to measure the intensity of light. This means that a higher lumen number corresponds to a brighter bulb. Lightbulbs for typical home task lighting applications should provide anywhere from 1,000 to 1,600 lumens of light, depending on the size of the space. A reading lamp bulb only needs to provide between 450 and 800 lumens. Watts measure the amount of electricity a lightbulb consumes during operation. The higher the number of watts on a lightbulb, the more energy it will use. 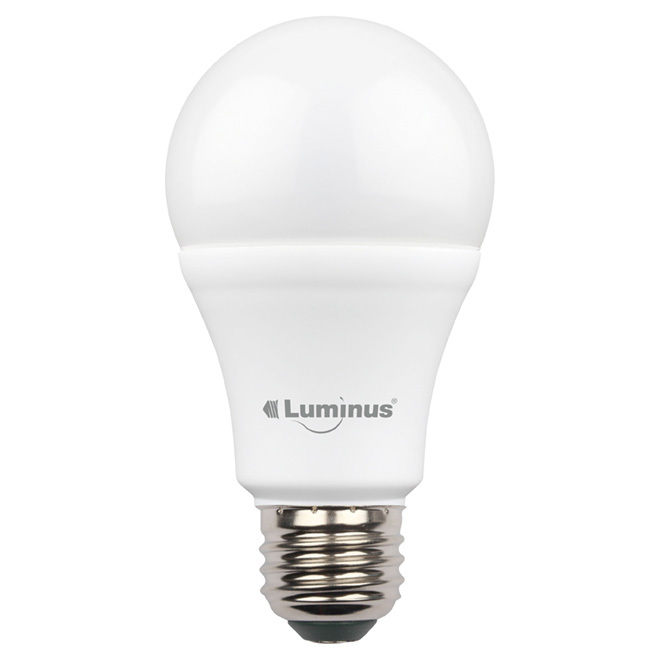 Lumens per watt is an important measure of a lightbulb’s energy efficiency. It tells you how many lumens the bulb will provide relative to how much electricity it will use. The more lumens per watt, the more efficient a lightbulb is and the cheaper it will be to operate. 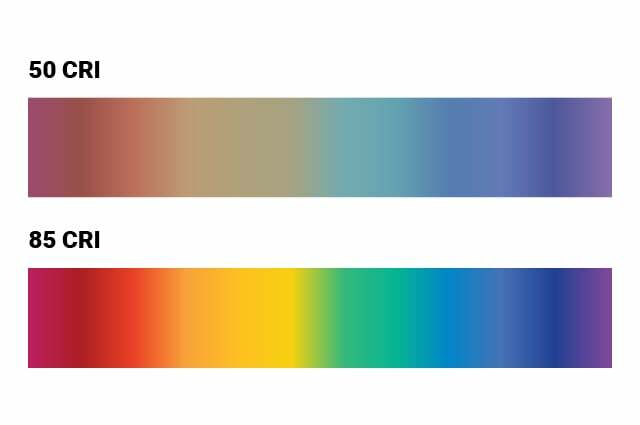 The colour rendering index (CRI) is a measure of the way that light affects the appearance of colour on a scale of 0 to 100. The higher the number, the more accurate the colour. For example, sunlight has a CRI of 100 because it allows objects to look their "true" colour. 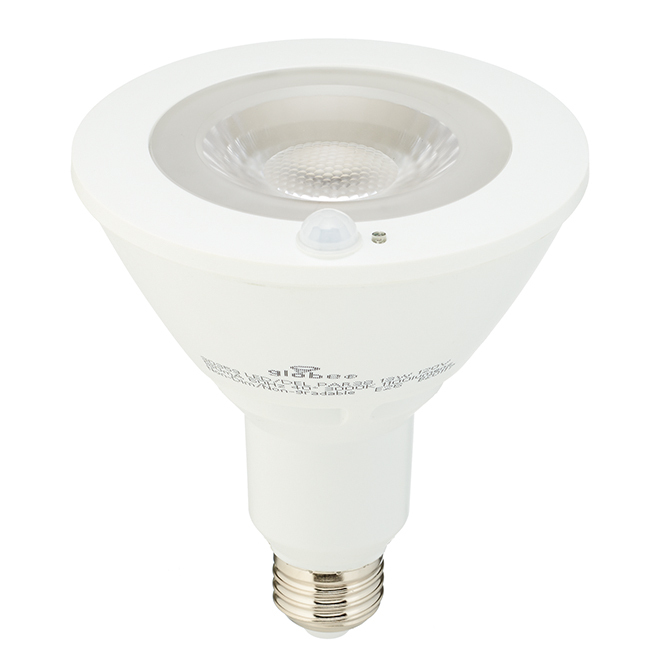 Most LED bulbs have a CRI of 80 or higher. A lightbulb consists of the bulb itself and the base it is attached to, both of which come in many different shapes and styles. 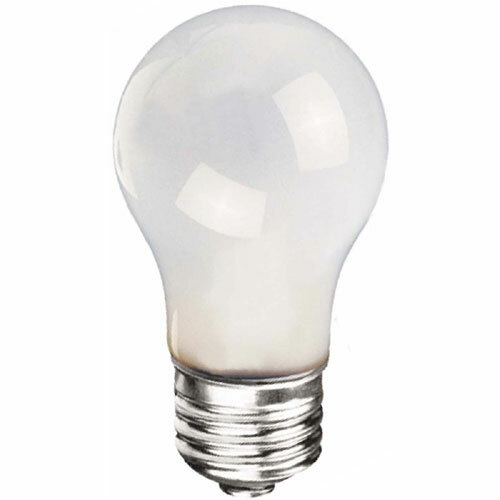 "A" bulbs are the most common types of lightbulbs as they are made for typical household use. Blunt tip, bent tip, and flame bulbs are more decorative in style and used where aesthetic design is a priority. 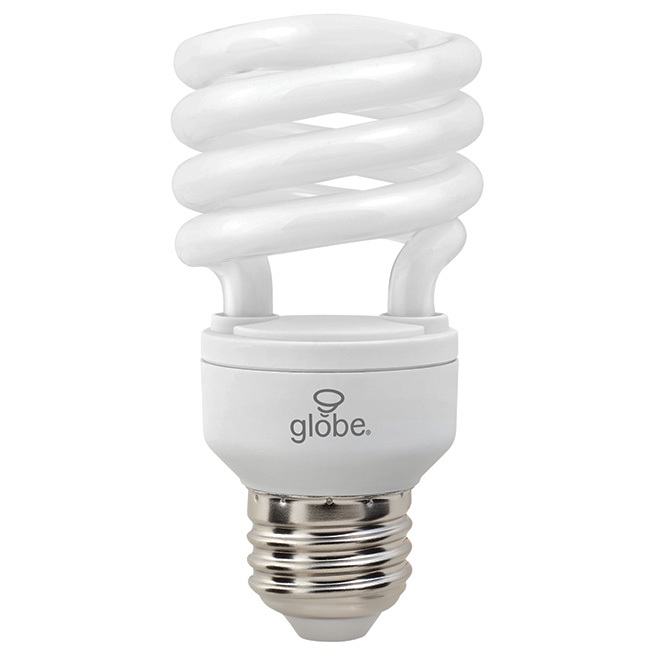 Reflector bulbs are often used as flood lights while globe bulbs are designed for vanities. Cone, spherical, and tubular lights are made for specialty applications. Lightbulbs have both a letter and a number. The letter refers to the shape of a bulb (as discussed above), while the number denotes the diameter of the bulb at its widest point. Lightbulbs are measured in eighths of an inch. 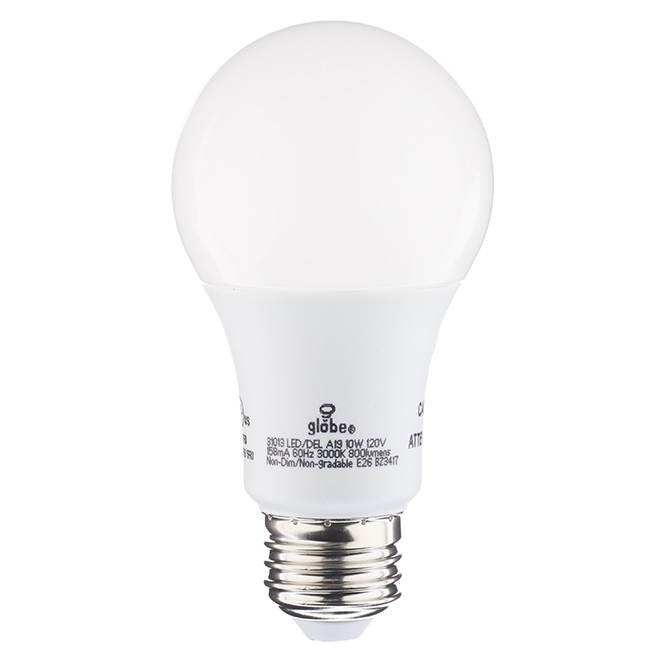 For example, A G40 bulb is a globe-shaped bulb that is 5 inches in diameter (40/8). Your main decision when choosing a lightbulb will be between the four most common types of residential bulbs. Consider the different properties and advantages of each to help make your selection. The original lightbulbs, incandescent bulbs have been used for more than a century. They contain a filament that glows when heated by an electric current. 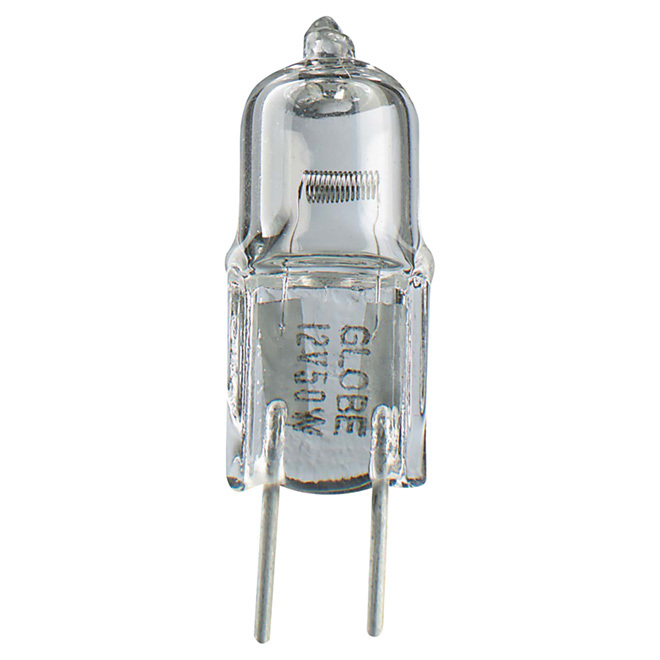 A halogen bulb is a type of incandescent bulb that also contains a glowing filament. However, the filament is encased in a quartz envelope filled with halogen gas, which protects the filament from deteriorating. A compact fluorescent light (CFL) is made up of an electronic ballast and a gas-filled tube. As electricity flows through the tube, it causes the gas to radiate ultraviolet light. This heats up the white phosphorous coating inside of the tube and causes it to glow. Once used mainly for Christmas tree lighting, LED lightbulbs are a staple in the modern home. These bulbs directly convert electricity into light using light-emitting diodes. When a CFL bulb reaches the end of its usable life, it may emit a popping noise, smoke, and odour. The base may also appear charred and discoloured. These are normal characteristics and they do not pose a fire hazard. These bulbs must be recycled at a designated deposit location. RONA’s ECO-Approved Products program is designed to help consumers make more environmentally conscious choices.ECO lightbulbs are ENERGY STAR certified and consume 75-90% less electricity than incandescent bulbs. Choosing this type of lightbulb will lower the electrical bill and reduce impact on climate change. Did you know? Home lighting represents 5% to 10% of the total electricity consumption in a typical home. The electricity used to power your lights can come from a variety of energy sources that emit different levels of greenhouse gasses. Coal combustion produces the highest level of carbon emissions in the electricity sector. 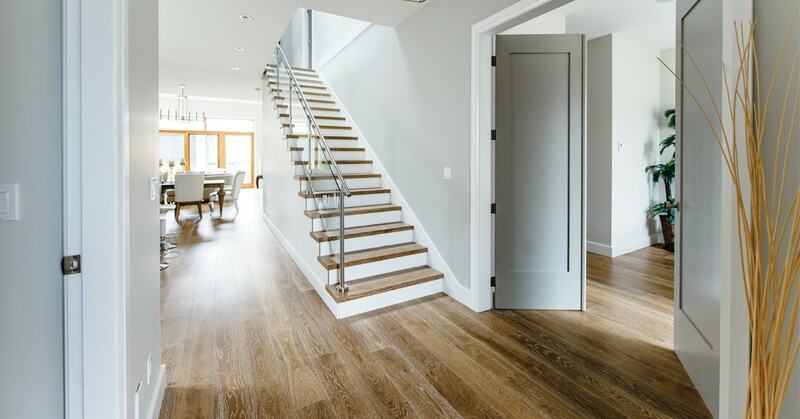 Smart technology has expanded to many aspects of the modern home, including the lighting. 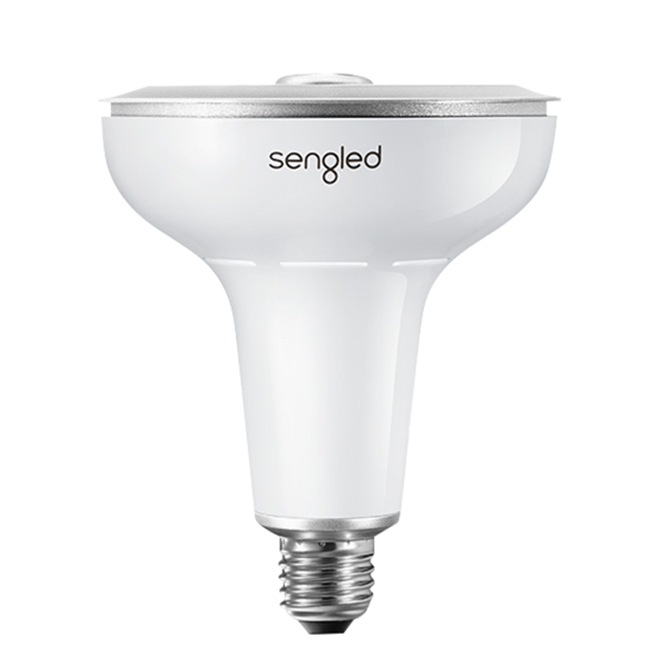 Smart bulbs allow you to create custom lighting scenes and even schedule your lights to turn on or off. 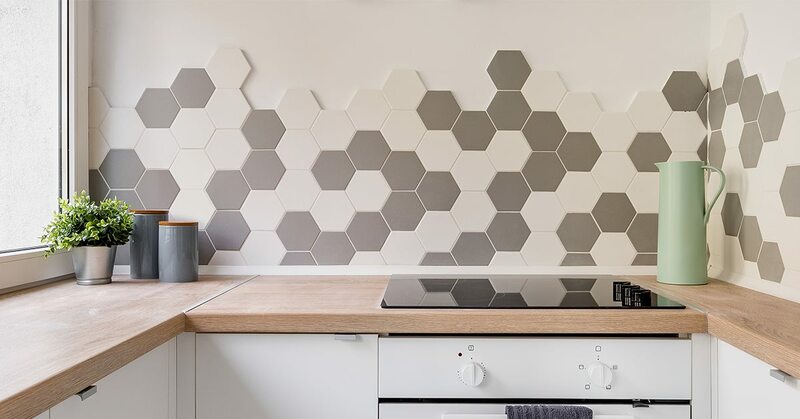 Best of all, they don’t require a smart home hub as they connect through an app on your smartphone. This allows you to take full remote control of your lighting, even while you are away from home. 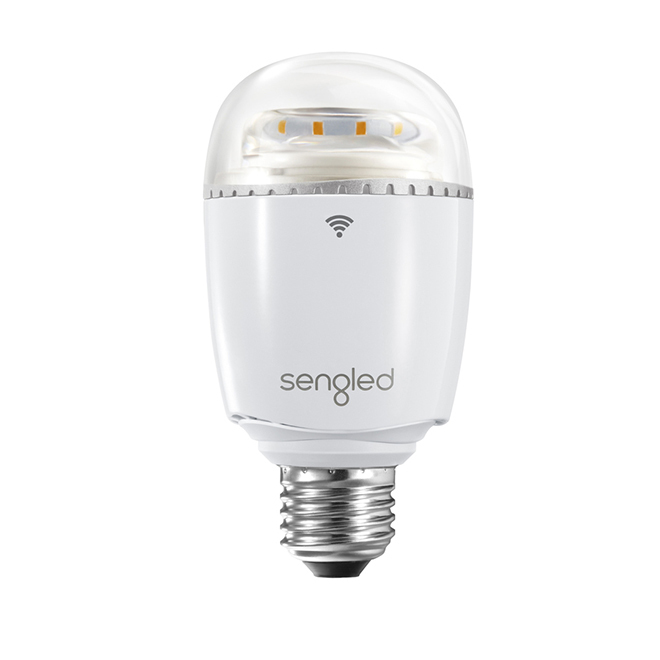 Many smart bulbs double as more than just a light source and can be used to enhance the overall connectivity and functionality of your home as well. Stream high-quality audio anywhere in your home through an integrated speaker. Removes any Wi-Fi dead zones by amplifying the signal with an integrated Wi-Fi repeater. 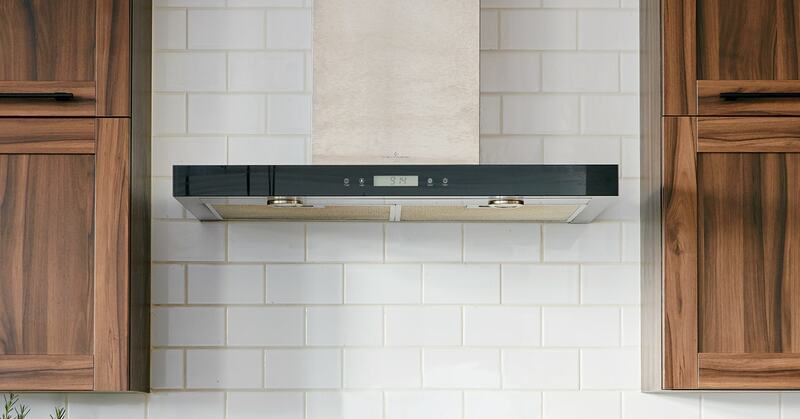 Turns on when motion is sensed, enhancing visibility and home security in dim areas such as driveways and doorways. 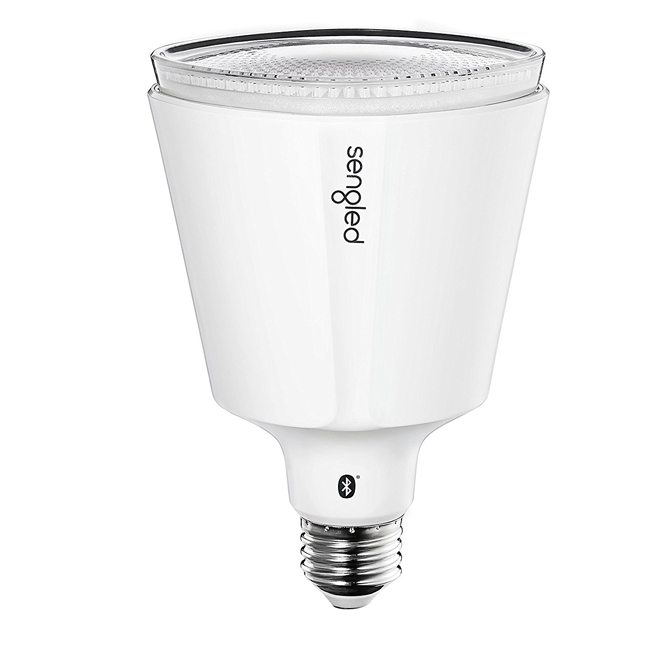 Contains a dusk-to-dawn sensor that helps you save energy by turning the bulb off when daylight is detected. Allows you to keep an eye on your home from anywhere with 24/7 HD video recording.